The following discounts and missions are available from 31 March at 07:00 to 3 April at 07:00 CEST (UTC+2). 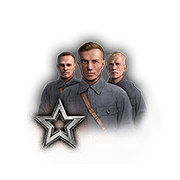 Earn 6 Tokens from the mission “Keeping in Shape”. The following discounts and missions are available from 30 March to 2 April. No leakage yet for a fun mode? Correct me if I am wrong, but I thought the Ranked battles season is over and the new one hasn’t been announced. This morning when I started up wot the special was 16 garage slots and not 16 bunks.Its amazing how wot eu can change their minds as they see fit.Now that Ive seen what they can do they can actually shove this mission up their arse as the eu management team is a screw up anyway. it’s 300. WG is not famous for what they offer but how they money grab.